Are movies your favorite way to escape the stress of your daily grind? Onkyo's TX-RZ730 lets you relax and lose yourself in a world of immersive, three-dimensional surround sound and brilliant 4K Ultra HD picture quality. THX® certification means you'll get spot-on, distortion-free reproduction of movie soundtracks with intricately detailed effects, even at lower volume levels. Convenient wireless music options, multi-room music, and easy app control make this receiver a winner for movie nights, parties, and everyday entertainment. Onkyo's premium RZ Series home theater receivers deliver music and movie soundtracks with detail and accuracy. The 'RZ620 is constructed with quality components like large custom capacitors for consistently great sound throughout the frequency range, and discrete non-phase shift amp circuits for a clearly focused audio image and reduced distortion even at high volume levels. The 'RZ730 gives you all kinds of options for wireless listening. Built-in Wi-Fi gives you access to popular streaming services like Spotify® and Pandora®, along with tracks you have stored on your networked computer. Apple® AirPlay® lets you stream from compatible iOS® devices, and Bluetooth adds even more streaming music options. Use the Onkyo Controller app to control streaming from your Apple or Android™ device. Chromecast built-in lets you use your phone, tablet, or computer to stream music to the receiver from over 100 audio apps. With a Google Home voice assistant or the Google Home app, you can use your voice to control playback and connect with other Chromecast built-in devices for wireless music throughout your home. The 'RZ730 also works great as a component in your Sonos wireless multi-room music system. Just add a Sonos Connect and you can send any music or audio source from the Sonos app to the receiver. It'll even automatically turn on and switch to the correct input when you fire it up in the Sonos app. DTS Play-Fi gives you the freedom to mix and match Play-Fi devices from different brands. Use the Play-Fi app to queue up songs, play and pause music, and control multiple Play-Fi speakers and components throughout your home. The 'RZ730 has outputs for 11 speakers, allowing for different home theater and wired multi-room music configurations (just remember, its nine amplifier channels can't power more than nine speakers at once). You can use all nine channels in a 5.1.4 or 7.1.2 Dolby Atmos or DTS:X system, or you can go with a more modest surround sound setup and repurpose the extra channels in one of a few ways. The receiver's "Height 1" speaker outputs can be used to bi-amp your front left and right speakers for more powerful sound. Or you can connect a pair of speakers for stereo sound in another room. If you're happy with 5.2-channel surround sound in your living room, you can have two wired stereo music zones in other rooms. You can also connect a stereo receiver or amplifier through line-level Zone 2 and Zone 3 connections and use the DRX-5.2 as a preamp, so you can use all nine channels for surround sound in your home theater and still get stereo sound in up to two additional rooms. RZ Series: Onkyo's premium RZ series AV receivers feature upgraded components, such as a massive transformer and custom capacitors that provide high instantaneous current for lightning-fast transient response and a frequency range that extends down to 5Hz. Discrete amp circuits prevent phase shifting, clearly focusing the audio image and cutting distortion even at extreme volume levels. The RZ series amplifier delivers a significant boost to the dynamics, detail, and accuracy of music and movie soundtracks for a listening experience that packs a stunning emotional impact. The RZ series is backed by a 3 year parts & labor warranty. Dynamic Audio Amplification: The TX-RZ730 AV receiver features Onkyo's Dynamic Audio Amplification with a 9-channel amplifier rated at 100 watts (into 8-ohms, at 20Hz-20kHz, with 0.08%, driving 2 channels). Onkyo's new Dynamic Audio Amplification technology incorporates a Hi-Current, non-phase shift amplifier design with discrete output stage circuitry and a H.C.P.S (High Current Power Supply) capable of driving 4-16Ω speakers with dynamic control, while producing clear, detailed sound. Hi-Current Amp Design w/ Discrete Output Stage: The unique elements of Onkyo's Dynamic Audio Amplification system comprise high-current, low-impedance architecture with discrete output stage circuitry & custom audio capacitors for instantaneous high-current power and precisely control of your loudspeakers for dynamic, accurate sound. Non-Phase-Shift Amplification Circuitry: Onkyo's Wide Range Amp Technology (WRAT) circuit layout prevents phase shifting by pushing the roll-off point higher than the listening-level frequency. Amplifying sound without phase shift creates an uncommonly well-focused and realistic audio image. H.C.P.S. (High Current Power Supply): The receiver's High Current Power Supply (H.C.P.S.) transformer features an isolated power supply design and high-capacity filter capacitors to deliver large amounts of power necessary for reproducing the wide dynamics of movie soundtracks and the detail and clarity of your music. Optimum Gain Volume Circuitry: Optimum Gain Volume Circuitry adjusts the gain so that less than half the amount of attenuation is needed, ensuring the signal never comes close to the noise floor. This protects the signal against noise, resulting in a dramatically clearer sound. Solid Aluminum Front-Panel: A solid aluminum front-panel aid in the receiver's anti-resonance performance. Amplifier Assignment: The 9-channel amplifier can be configured in a variety of ways to match your type of speaker setup. 5.1.2ch Bi-Amp: Assigns all nine amplifiers of the receiver to the Main Zone with the front speakers bi-amped. The 5.1.2ch speaker system consists of Front, Center, Surround, & Dolby Atmos speakers (Surround Back speakers not available in this mode). In this mode, Zone 2 and Zone 3 must be powered by a separate amplifier. 5.1.2ch + Zone 2 or Zone 3: The nine amplifier channels of the receiver are assigned to power a 5.1.2ch speaker system in the Main Zone and stereo speakers in either Zone 2 or Zone 3 (not both). The 5.1.2ch speaker system consists of Front, Center, Surround, & Dolby Atmos speakers (Surround Back speaker are not available in this mode). 5.1.4Ch: The nine amplifier channels of the receiver are assigned to power a 5.1.4ch speaker system in the Main Zone. The 5.1.2ch speaker system consists of Front, Center, Surround, & two sets of Dolby Atmos speakers. In this mode, Zone 2 and Zone 3 must be powered by a separate amplifier. 5.1.4Ch + Zone 2: The nine amplifier channels of the receiver are assigned to power a 5.1.4ch speaker system in the Main Zone and a pair of loudspeakers in Zone 2. The 5.1.4ch speaker system consists of Front, Center, Surround, & two sets of Dolby Atmos speakers. When Zone 2 speakers are active, the Main Zone's Height 1 speakers are inactive, limiting the Main Zone to 5.1.2ch. Zone 3 must be powered by a separate amplifier. 7.1.2Ch: Assigns all nine amplifiers of the receiver to the Main Zone for a 7.1.2ch configure which consists of Front, Center, Surround, Surround Back, and Dolby Atmos speakers. Zone 2 and Zone 3 speakers must be powered by separate amplifiers. 7.1.2Ch + Zone 2: In this configuration the receiver's nine channel amplifier powers the Front, Center, Surround, Surround Back, and a pair Dolby Atmos speakers in the Main Zone, while also powering a pair of Zone 2 speakers in another room. When Zone 2 speakers are active, the Main Zone's Height 1 speakers are inactive, limiting the Main Zone to 7.1ch. Zone 3 speakers must be powered by a separate amplifier. 7.1.4Ch (requires separate amp): In this configuration the receiver's nine channel amplifier powers the Front, Center, Surround, and two sets of Dolby Atmos speakers in the Main Zone, while the Surround Back speakers of the Main Zone are powered by a separate amplifier. Zone 2 and Zone 3 must be powered by separate amps. 7.1.4Ch + Zone 2 (requires separate amp): In this configuration the receiver's nine channel amplifier powers the Front, Center, Surround, and two sets of Dolby Atmos speakers in the Main Zone, while also powering a pair of Zone 2 speakers in another room. The Main Zone's Surround Back speakers are powered by a separate amplifier. When Zone 2 speakers are active, the Main Zone's Height 1 speakers are inactive, limiting the Main Zone to 7.1.2ch. Zone 3 speakers must be powered by a separate amplifier. 7.1Ch Bi-Amp: Assigns all nine amplifiers of the receiver to the Main Zone with the front speakers bi-amped. The 7ch speaker system consists of Front, Center, Surround, and Surround Back. In this mode, Zone 2 and Zone 3 must be powered by a separate amplifier. 7.1Ch + Zone 2 or Zone 3: The nine amplifier channels of the receiver are assigned to power a 7ch speaker system in the Main Zone and stereo speakers in either Zone 2 or Zone 3 (not both). The 7ch speaker system consists of Front, Center, Surround, and Surround Back. 5.1Ch Bi-Amp + Zone 2: Assigns seven amplifiers of the receiver to the Main Zone with the front speakers bi-amped and two amplifier channels assigned to Zone 2 to power a pair of speakers in another room. The 5ch speaker system consists of Front, Center, and Surround (Surround Back speaker channels are not available in this mode). This amplifier configuration is not compatible with Dolby Atmos or DTS:X. 5.1Ch + Zone 2/3: Assigns five amplifier channels to the main zone for 5ch playback and four amplifiers to Zone 2 and Zone 3 for stereo playback in each zone. The 5ch speaker system consists of Front, Center, and Surround (the receiver's Surround Back and Height amplifier channels are reassigned to power both Zone 2 and Zone 3). 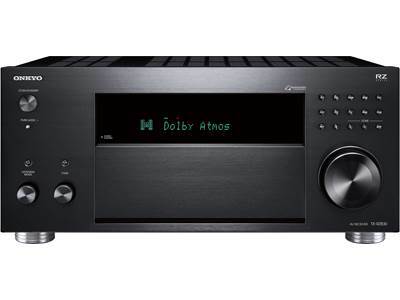 32-Bit Architecture: The Onkyo TX-RZ730 AV receiver utilizes 32-Bit architecture with Dual 32-Bit DSP Engines and a 384kHz/32-Bit Hi-Grade DAC for exceptional sound quality. Dual 32-Bit DSP Engines: The Onkyo TX-RZ730 employs powerful and highly accurate 32-bit DSP (Digital Signal Processor) engines for better surround sound reproduction. 384kHz/32-Bit Hi-Grade DAC: The AV receiver utilizes one premium-quality AK4458 digital-to-analog converter from Asahi Kasei for all channels. This 384kHz/32-bit DAC implements unique low-distortion filtering technologies for clear sound, and unlocks the full potential of practically any audio format; including compressed, lossless, and hi-res audio (MP3, WMA, AAC, Apple Lossless, FLAC, WAV, DSD, LPCM, and Dolby TrueHD). Advanced Circuitry: The Onkyo TX-RZ730 incorporates a variety of advanced circuitry to eliminate jitter & distortion for cleaner, clearer sound reproduction. Vector Linear Shaping Circuitry (Front Channels Only): Onkyo developed Vector Linear Shaping Circuitry (VLSC) to reassemble the signal in its original form following processing. Unlike conventional filters, VLSC removes pulse noise generated in D/A conversion, allowing the sound wave to be reproduced with extremely high fidelity for a smooth analog signal. The signal's data is converted between sampling points and joined with analog vectors in real time to produce a smooth output wave form. The result is a virtually noiseless, smooth, analog signal that brings out even the most subtle of nuances in music sources. PLL Jitter-Cleaning Circuit Technology: PLL (Phase Locked Loop) jitter-cleaning circuit technology reduces jitter by comparing the input and output phases of the digital signal and creating an accurate clock waveform. This enhances the precision of digital signal processing and noticeably improves audio quality. Jitter-cleaning technology works for S/PDIF audio signals only. AccuEQ Advance Calibration w/ AccuReflex: The TX-RZ730 incorporates AccuEQ Advance calibration technology and comes with an auto calibration microphone. AccuEQ Advance calibration technology reveals the true potential of your speakers by eliminating standing waves from your listening space using multipoint measurements. These acoustic peaks distort the audio image and prevent your loudspeakers from voicing the sound as their designers intended. AccuEQ Advance also utilizes Partial Band Equalization and only corrects frequency response below a certain point, leaving high-order harmonics untouched - so your speakers are free to reproduce the emotion in the recording faithfully and naturally. In addition, AccuEQ Advance includes three memory presets you can use to save your own customized EQ settings, perhaps tailored to suit different content such as movies, music, or games. Speaker Measurement: The first-round of AccuEQ Advance measurements set the distance, sound pressure level, and crossover of your speakers. Distance and level calibration ensure all channels are treated equally. Crossover measurement selects the correct point to roll off low-frequency sound to the subwoofer for seamless speaker integration. Room Measurements: In the second round of AccuEQ Advance measurements, your room's sonic characteristics are evaluated. Using this information, AccuEQ Advance is able to prevent standing waves from forming by adjusting frequency response. AccuEQ Advance even listens and compensates for the subtlest background noise (such as the hum of an HVAC) to ensure a higher degree of measurement precision. AccuReflex Measurements: AccuEQ Advance also incorporates AccuReflex technology to align the phase of up-firing "height" speakers with the sound coming directly from your other speakers. Any delay is resolved so that everything arrives at your ears at the same time. The result is cohesive reproduction of object-based soundtracks. Note: You can choose to bypass AccuEQ Advance for your front speakers or all speakers, and manually set the distance, crossover, EQ, and level of each speaker. THX Certified Select: THX Certified Select guarantees the same high-volume sound you experience at a commercial theater in your home. To gain certification, amplifiers must pass the industry's most severe bench-tests covering every aspect of audio performance to satisfy THX requirements. THX spends 40-60 hours testing over 2000 data points ensuring that the receiver is capable of meeting rigorous audio and video performance standards for reference level, distortion-free playback. THX delivers superior sound quality for movie, music, and gaming soundtracks through the use of the following advanced technologies and listening modes. ASA (Advanced Speaker Array): ASA is a technology patented by THX to provide a broad surround sound experience by adjusting the side and back surround speaker sounds respectively. When installing the surround back speakers, first select the distance between the two surround back speakers in the THX Audio settings. This setting optimizes the surround sound environment. Adaptive Decorrelation: In a movie theater, a large number of surround speakers help create an enveloping surround sound experience. If a home theater only has two sidewall surround speakers, the surround speakers may sound similar to headphones lacking spaciousness and envelopment. Surround sounds will also collapse toward the closet speaker as you move away from the middle seating position. Adaptive Decorrelation slightly changes one surround channel's time and phase relationship with respect to the other surround experience as in a movie theater using only two rear speakers. RE-EQ & Timbre Matching: Many movie soundtracks are mixed in studios for playback in large cinema auditoriums with an array of speakers. When played on home systems, they may appear abrasive and edgy. Re-EQ establishes a more accurate tonal balance when enjoying movies in your home. Your ears hear different tonal qualities in sounds coming from different directions. Timbre Matching restores the frequency balance between your front and surround speakers ensuring seamless and smooth panning between the front to back of the room. Boundary Gain Compensation (BGC) & THX Loudness Plus: Sitting near a wall may result in distorted bass response. BGC corrects the way low frequency sound is perceived when seated near a wall. This results in a more accurate bass response. THX Loudness Plus is a volume control technology that automatically adjusts the front-to-back speaker level relationship as you turn the volume down. With THX Loudness Plus home theater audiences can now experience surround sound at any volume level. Listening Modes: Choose between 4 THX Listening Modes - THX Cinema, THX Game, THX Music, and THX Surround EX. THX Cinema recreates the ambiance of the movie theater by positioning the 5.1, 7.1and immersive mixes to submerse you in the movie's soundtrack. THX Game distributes the sound effects and dialogue generated by the game engine by placing the audio from a 5.1, 7.1 or immersive mix to the appropriate "action" location - creating 360-degree gaming experience. THX Music emulates the original studio environment for the 5.1, 7.1 or immersive mix for an accurate and increased sense of spaciousness and localization - placing you directly in the recording session. THX Surround EX decodes the third surround channel from the traditional two surround channels to create a more immersive entertainment experience. Note: THX Certified Select is suitable for medium sized rooms, up to 2,000 cubic feet in size, with a 10-12 foot viewing distance from the screen. 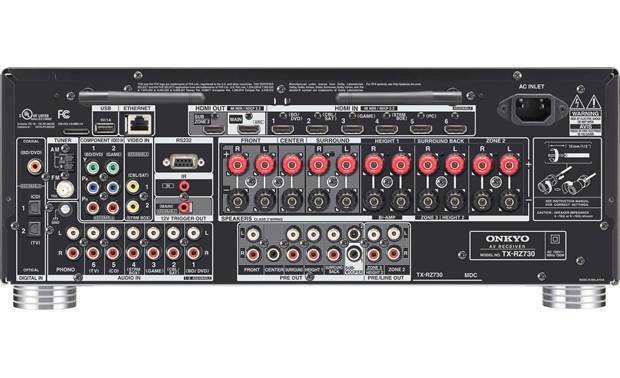 Compatible Digital Audio Formats: The AV receiver supports the following stereo & multichannel digital audio formats through its HDMI jacks and optical/coax digital inputs. Immersive Surround Sound: The Onkyo TX-RZ730 AV receiver goes beyond regular surround with the latest immersive surround sound formats, including Dolby Atmos, & DTS:X. The TX-RZ730 also supports Dolby Surround & DTS Neural:X that enhances two-channel and multichannel content and decoding formats with immersive surround sound. Dolby Atmos: The Onkyo AV receiver will enhance properly designed systems with Dolby Atmos where sound comes alive from all directions, including overhead, to fill the home theater with astonishing clarity, power, detail and depth. TX-RZ730 has the processing power to run a more enveloping 7ch, 9ch or 11ch Dolby Atmos layout using a 5.1.2, 5.1.4, 7.1.2, or 7.1.4* configuration with ceiling mounted, or Dolby Atmos-enabled speakers (sold separately). *A 7.1.4 configuration requires an additional power amplifier to power the Surround Back speakers. DTS:X: DTS:X will be enabled through an online firmware update coming later this year. DTS:X is the next generation object-based, multi-dimensional audio technology from DTS. Unbound from channels, DTS:X conveys the fluid movement of sound to create an incredibly rich, realistic and immersive soundscape - in front of, behind, beside and above the audience - more accurately than ever before. DTS:X offers the ability to automatically adapt the audio to the speaker layout that best fits your space. Dolby Surround: Dolby Surround offers an enhanced cinema experience to your 2ch or multichannel movie soundtracks using your existing 5.1ch, 7.1ch or Dolby Atmos speaker setup. Dolby Surround enhances audio definition by improving the spatial dimension and overall audio definition of movie soundtracks. It does this by using four distinct surround zones that provide greater control over the exact placement of each detail in a movie sound track, so audio can be matched more accurately to the video on screen; this means more depth and greater realism for your movies. As a result, individual sounds are clearer and more distinct. It also improves the surround sound experience across the entire theater by widening the listening "sweet spot". DTS Neural:X: DTS Neural:X will be enabled through an online firmware update coming later this year. DTS:X incorporates Neural:X, the latest spatial remapping technology from DTS, which provides a fully immersive output for all types of source content; this includes DTS bitstreams and non-encoded (PCM) data. Neural:X delivers a thrilling sense of immersive sound to your speaker layout regardless of the original source format. Orchestra: Suitable for classical or operatic music. This mode emphasizes the surround channels in order to widen the sound image, and simulates the natural reverberation of a large hall. Studio-Mix: Suitable for rock or pop music. Listening to music in this mode creates a lively sound field with a powerful acoustic image, like being at a club or rock concert. TV Logic: Suitable for TV shows produced in a TV studio. This mode enhances the surround effects to the entire sound to give clarity to voices and create a realistic acoustic image. Unplugged: Suitable for acoustic instruments, vocals and jazz. This mode emphasizes the front stereo image, giving the impression of being right in front of the stage. Multichannel (Multich)/Game: Multichannel mode is suitable for playing sources recorded in multichannel PCM. The receiver also offers four different Gaming modes - RPG, Action, Rock, and Sports. Stereo/All Channel Stereo (AllCh Stereo): In Stereo mode, sound is output from the front left and right speakers and subwoofer. In All Channel Stereo Mode, stereo sound is output from all speakers - ideal for background music. Mono/Full Mono: In Mono mode, when the input signal is analog or PCM, the left and right front speakers output the sound in monaural. In Full Mono mode, all speakers output the same sound in mono, so the sound you hear is the same regardless of where you are within the listening room. Direct Mode: In Direct mode, audio from the input source is output without surround-sound processing. This mode delivers pure sound with minimum sound quality adjustment and filtration. 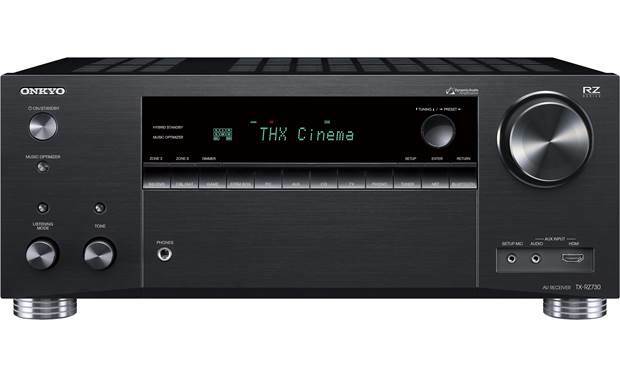 Audio Enhancements: The Onkyo TX-RZ730 receiver provides various audio enhancements to deliver a high-quality listening experience every time. CinemaFilter: The CinemaFilter softens overly bright movie soundtracks. Movie soundtracks are typically mixed for a large theater (relative to your home theater) with lots of soft seats and thick curtains on the walls. Home theater settings often lack these high frequency absorbing wall treatments, making the soundtrack sound too bright. CinemaFilter accounts for this and for many movies sounds more natural at home. Music Optimizer: The Music Optimizer function enhances the sound quality of compressed music files. The Music Optimizer function only works with PCM digital audio input signals with a sampling rate below 48kHz, analog input signals, and Bluetooth audio. Late Night Feature: The Late Night feature limits the dynamic range of Dolby Digital recordings. Limiting the dynamic range makes it easier to find a volume that ensures the quiet sounds are not too quiet and the loud sounds are not too loud for night time listening. This allows you to comfortably listen to without the need to constantly adjust the volume to keep from waking family/neighbors. The choices are: Off, Low, and High. This feature only works with Dolby Digital Encoded software and the depth of the feature will vary based on the individual software package. Bass Management: The Onkyo AV receiver offers Tone Control and Double Bass feature to get the most bass impact out of your system. You can independently adjust the Bass (20Hz) and Treble (20kHz) of the receiver's Front L/R channels from -10 to +10 dB. You can also activate the Double Bass function in order to boost bass output even more by feeding bass sounds to the front left/right speakers, center-channel, and powered subwoofer. Volume & Level Setup: The Onkyo AV receiver provides the following volume & level settings. IntelliVolume: With IntelliVolume, you can set the input level for each input (+/-12dB) selector individually. This is useful if one of your source components is louder or quieter than the others. This function does not work in Zone 2 or 3. Maximum Volume: Use this feature to set the receiver's maximum volume level for the Main Zone, Zone 2, and Zone 3. This feature is useful to avoid turning the volume too loud by mistake. You can set the Max Volume from 50-99 (max), or Off (disabled). Power On Volume: Use this feature to set the volume level when the power is turned on in the Mainz Zone, Zone 2, and Zone 3. You can choose between Last (same as the volume when the unit was turned off), Min (0), or 1-99. Mute Level: Set the volume lowered from the listening volume when "Mute" is selected. Choose from 0, -40dB, or -20 dB. Headphone Level: With this setting, you can specify the headphone volume (+/-12dB) relative to the main volume. This is useful if there's a volume difference between your speakers and your headphones. Analog Audio Outputs: The Onkyo TX-RZ730 is outfitted with the following analog audio outputs. Binding-Post Speaker Terminals: There are binding-post terminals for all speaker connections - Front, Center, Surround, Surround Back, Height, and Zone 2. The binding post terminals will accept bare-wire, pin-connectors, and banana plugs (single only). Use 4- to 16-ohm speakers. 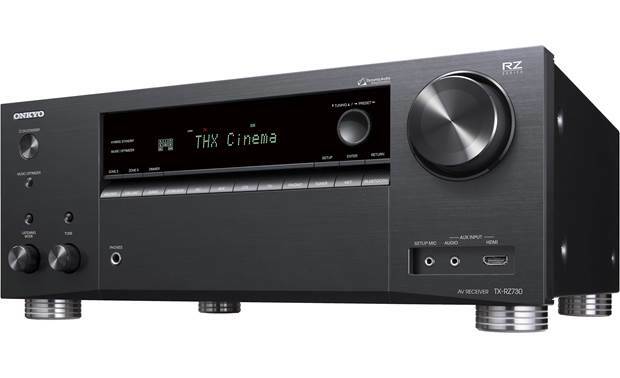 11.2ch Pre-Outs: The Onkyo TX-RZ730 features 1.2ch pre-outs (Front, Center, Surround, Surround Back, Height 1, Height 2, and Dual Subwoofer) for connection of an external power amplifier or amplifiers. The pre-outs are variable. The dual sub outputs are wired in parallel and share the same input signal (they are not discrete). Headphones: When headphones are plugged into the full-size 1/4" jack on the front panel, all the speakers are automatically muted. Phono Input: The TX-RZ730 has a discrete low-noise phono pre-amp and is outfitted with Phono (MM) input for connection of a turntable with a moving magnet cartridge so you can enjoy listening to your vinyl records. There is also a ground screw terminal. Front-Panel Aux Input: The TX-RZ730 is fitted with a front-panel 3.5mm Aux input for connecting a portable audio player. HDMI 2.0b: The Onkyo TX-RZ730 has seven HDMI 2.0b inputs (6 rear/1 front) and dual HDMI 2.0b outputs. Thanks to the latest HDMI 2.0b specification, the receiver can support 4K/60 Hz Ultra-HD video, HDCP 2.2 compatibility, 4:4:4 color sub-sampling, High Dynamic Range (HDR), and BT.2020 Wide Color Gamut. 4K/60Hz: The TX-RZ730 supports up to 4K (3840x2160 pixels) video @ 60 frames per second on all of its HDMI inputs and outputs. It will also pass a 480p, 720p, 1080i, or 1080p video signals via HDMI (not compatible with 480i video signals). HDCP 2.2: The receivers HDMI inputs and HDMI monitor output support HDCP 2.2, which fully complies with the latest copyright protection standard for 4K video transmission. 4:4:4 Color Subsampling: The receiver's HDMI inputs and HDMI monitor output support RGB, YCbCr 4:4:4, YCbCr 4:2:2, and YCbCr 4:2:0 color subsampling (@ 60Hz or 50Hz). With 4:4:4 color subsampling, luminance (brightness) and chroma (color) are sampled at the same rate; resulting in an RGB color palette as big as the video sampling rate for a video image with more colors, plus greater color accuracy and detail. HDR (High Dynamic Range): HDR (High Dynamic Range) video provides enhanced picture quality by simultaneously enabling greater detail for both the dark and bright parts of an image. HDR reproduces a greater dynamic range of luminosity or brightness levels, creating greater contrast. This increased contrast reveals the subtle nuances of the image, from detailed blacks and shadows to the brightest whites and colors, plus greater depth. This receiver supports three HDR formats - HDR 10, HLG, & Dolby Vision. HDR 10: HDR 10 is an open standard and currently the most popular HDR format on the market. It supports 10-bit color and 1,000 nits. It uses static metadata at the start of a movie to tell the receiver and your TV that the video content is encoded using HDR. Dolby Vision: Unlike HDR 10 which contains static metadata and HLG which uses no metadata, Dolby Vision utilizes dynamic metadata which adjusts brightness, color, and contrast automatically for each scene. Dynamic metadata carries information that maps every image to your TV's display capabilities, so you see more of what the content creator intended. Dolby Vision supports 12-bit color and 10,000 nits. Analog Video-to-HDMI Conversion: Analog composite and component video signals (480i only) input to the receiver will be converted to HDMI signals and then output from the receiver via its main HDMI monitor output to your TV. The resolution remains the same and is not upscaled. Dual HDMI Outputs: The dual HDMI outputs can simultaneously output the same audio/video signal to two TVs, or you can assign the second HDMI output to Zone 2 to display a different HDMI source (1-2-3 inputs) in another room; video is output at the resolution supported by both TVs. Other HDMI Features: The TX-RZ730 AV receiver's HDMI connectivity also offers 3D video pass-through, ARC (Audio Return Channel), Deep Color & x.v. Color support, as well as an auto LipSync function. ARC (Audio Return Channel): The receiver's main HDMI output features ARC (Audio Return Channel). This feature allows audio to be sent from your compatible HDTV to your receiver through the same HDMI cable already being used to send audio and video to your HDTV. This eliminates the need for extra cables connected to your television. 3D-Ready: All HDMI jacks will accept 3D video from your 3D-ready Blu-ray player and output the video signal in 3D to your 3D-ready flat-panel television. Auto Lip-Sync: The Lip-Sync function can automatically synchronize HDMI audio and video (for any HDMI jack) that has gotten out of sync due to the complex digital video processing being performed by your HDMI-compatible TV. With HDMI Lip-Sync, the audio delay required to synchronize the audio and video is calculated and applied automatically by the AV receiver. You can also manually correct the audio delay from 0 (no delay) to 400 milliseconds; in 10 millisecond steps. HDMI Through: When enabling the HDMI Through function, regardless of whether the AV receiver is "O" or in "Standby", both audio/video streams from an HDMI input will be output to your television, via the receiver HDMI monitor output. You can select between three HDMI Through modes. Auto: Detects the signal and automatically selects the input sources. Source: Selects the HDMI input source for which the HDMI Through function in enabled. Last: The HDMI Through function is activated on the input source selected at the time of setting the AV receiver to the "standby" mode. Analog Video Inputs: The receiver features two composite video inputs and two component video inputs which support 480i video signals only. All analog video input signals are converted to digital and sent via HDMI to your TV at 480i (no upscaling). The component video input is not capable of high-definition video. Video Select: It is possible to play audio and video from different sources. For example, you can play audio via Bluetooth and video from your BD/DVD player. This function is only effective when an input with audio only (Network, Bluetooth, or Tuner) has been selected initially. Wired or Wireless Network Connection: The Onkyo TX-RZ730 AV receiver supports a wired Ethernet (RJ-45) or wireless WiFi (802.11 a/b/g/n; 2.4/5GHz) network connection. Via the AV receiver's network connection, you can enjoy music files stored on your computer and listen to internet radio through a variety of online music services. Ethernet (LAN) Jack: The Onkyo AV receiver is equipped with an Ethernet (RJ-45) jack for connecting the player to your home network and computer. 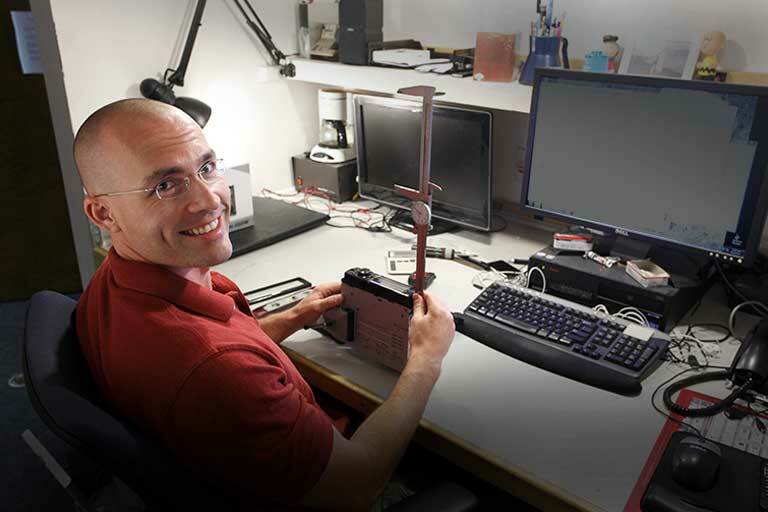 Connecting the A/V receiver's Ethernet port to a 100Base-TX switched Ethernet network is recommended for best results. Use a shielded CAT-5 Ethernet cable to connect the receiver to your home network. Built-in Wireless LAN: The AV receiver also features built-in WiFi that allows you to wirelessly connect to your home network, so you can enjoy the benefits of a cable-free network environment. A wireless connection requires a home network with a WiFi-enabled access point (IEEE 802.11 b/g/n; 2.4/5GHz). Supports WPS, WEP, and WPA security. Network setup requires that the receiver be connected to your TV via HDMI for display of the on-screen menu. The receiver's network setup cannot be accessed through its front-panel display. You can "Accept" or "Not Accept" for Onkyo to collect information about product usage when connected to the network and internet. However, if you do not accept the agreement you will get a "Onkyo Group Privacy Statement" each time the receiver is turned on. 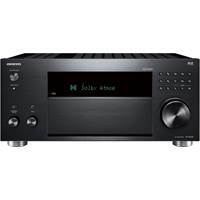 Built-in Online Music Services: The Onkyo TX-RZ730 offers several built-in internet radio & online music services through its wired or wireless network connection. TuneIn: With more than 100,000 radio stations and 2 million on-demand programs registered, TuneIn is a service where you can enjoy music, sports and news from all over the world. Amazon Music (available firmware update): Amazon Music is an on-demand music streaming service that offers access to tens of millions of songs. The Amazon Music service requires that you have an Amazon Prime account or Amazon Music Unlimited account. Pandora: Pandora is a personalized Internet radio service that plays the music you know and helps you discover music you'll love. You can select Internet radio stations by Artist, Song, or Genre. Tidal: Tidal is a global streaming service that offers over 30 million songs in high-fidelity CD sound quality. Tidal has two pricing tiers; either $9.99 or $19.99 a month. Both pricing levels allow you to access Tidal's entire music library. The $19.99 tier has the added benefit of high-fidelity sound at CD-level quality. Deezer: Deezer is an online music service offering over 43 million tracks starting at $9.99 a month. Discover the perfect playlist or make your own, as well as browse curated collections by genre. Spotify Connect: The integration of Spotify Connect will enable Spotify Premium users to instantly select and wirelessly stream music to the Onkyo AV receiver from within the Spotify app (Apple iOS or Android). Spotify is a digital music service that gives you on-demand access to one of the largest music libraries in the world (over 15 million tracks and counting). Spotify makes it easier than ever to discover, manage, and share music with your friends. You can browse music by artist, album, track, or most popular; and create your own music library with customized playlists. Chromecast Built-In: Chromecast built-in lets you instantly stream a variety of music apps from your Apple (iOS 7.0+) or Android (OS 2.3+) mobile device to the Onkyo stereo receiver. Chromecast built-in works over WiFi and allows you to connect more than one device at a time to the receiver, as well as control what's playing from anywhere in the house with your compatible mobile device. Supported Content: Chromecast built-in offers Internet Radio apps like TuneIn & iHeart Radio; plus online music service apps like Pandora, Spotify (requires Premium subscription), Tidal, Google Play Music, and more. Click here for a complete list of compatible apps. You can even wirelessly stream exactly what's playing on your Android phone or tablet through the Onkyo receiver. Or, if you're on your laptop or computer, you can also cast any music streaming website through the Chrome browser. Simple-to-Use: Simply tap the Cast button from a Chromecast Built-in compatible music app to start streaming to the Onkyo receiver. You can search, browse, play, skip, and turn up the volume directly from the music apps you know and love on your compatible phone, tablet or laptop. While you cast your music, you can still use your phone to answer a phone call, play a game, send a text, and even leave the room, all without interrupting what's playing on the receiver's speaker system. Note: To use Chromecast built-in, you must agree to Google's Privacy Statement. AM/FM Tuner: With the built-in tuner you can enjoy AM and FM radio stations. You can store your favorite stations as presets for quick selection. You can store a combination of up to 40 of your favorite FM/AM radio stations as presets. Built-in Bluetooth: The Onkyo TX-RZ730 features built-in Bluetooth (version 4.1+LE) with support for profiles A2DP 1.2 and AVRCP 1.3. You'll be able to wirelessly stream stored music and music apps from your Bluetooth-enabled Apple iPod/iPhone/iPad, Android smartphone/tablet, Windows Phone/PC, & Mac laptop/computer, as well as other Bluetooth compatible devices to the Onkyo receiver. The receiver has a 48' wireless Bluetooth range. You can even set the receiver to automatically turn on when a Bluetooth source device is paired and connected. SBC + AAC Codecs: In addition to support for the standard SBC Bluetooth audio codec, the TX-RZ730 offers support of AAC. By supporting AAC, the receiver offers better audio performance of the music streamed from your Apple iPod, iPhone, or iPad. Playback Control: You can use the receiver's IR remote control to operate basic playback functions, like Play/Pause & Previous/Next Track. Advanced music browsing will still need to be handled from your Bluetooth-enable device. Song/Artist Information: The receiver will display song/artist information on its front-panel LCD and through its on-screen on your HDMI-connected TV. Album Art is not supported. Note: Due to the differences in Bluetooth technology, some Bluetooth enabled devices may be incompatible, function improperly, or may not support all features when used with the Onkyo receiver. AirPlay Compatible: AirPlay lets you stream your favorite songs directly from your Apple iOS (4.3.3+) device or from your iTunes (10.2.2+) library on your Windows PC or Mac computer to the AV receiver, over your home's wireless network connection. From your Apple iOS device you are able to stream stored music on your device, downloaded music apps, and music on your iCloud to the AV receiver. From your Windows or Mac you can stream your stored iTunes music library on your computer to the AV receiver; you can even download Apple's free Remote App onto your compatible iOS device to browse and control playback functions of the music stored in your iTunes music library on your computer that is being streamed to the AV receiver. With AirPlay you also get to see song/artist information and album art via the receiver's on-screen menu (via HDMI). Notes: The receiver's USB port does not support Apple iOS and Android devices, USB hubs and card-readers, computers and laptops, or any MP3 player containing music files that are managed with special hardware. Zone 2 HDMI Output: The Onkyo TX-RZ730 provides a Zone 2 HDMI output, so two different HDMI audio/video feeds can be sent to two different displays at the same time directly from the receiver (HDMI 1-2-3 connected input sources only). HDMI Zone 2 will output up to 4K video and 2-channel audio for the HDMI input source selected. Video will be output at the highest resolution supported by both TVs. If you have the same HDMI source playing back in the main room and Zone 2, then the main room is also limited to 2ch PCM audio. Compatible Sources: HDMI 1-2-3 connected input sources only (up to 4K/2ch PCM). Incompatible Sources: Tuner, Analog, USB, Bluetooth, Network, and Optical/Coaxial Digital audio sources; plus analog video sources and HDMI 4-5-6-7 inputs. Zone 2: In addition to the main listening room, you can enjoy audio playback of the same source or a different source in another room of your home using the receiver's Zone 2 function. The receiver features Zone 2 line-outputs, as well as Zone 2 speaker terminals. You can play the same audio source in both Zones (Main & Zone 2) or play a different audio source in each zone. Zone 2 is compatible with analog, digital, network, and Bluetooth audio sources - see below for details. Line-Level Outputs: By using the line-level outputs on the TX-RZ730 you can connect an external receiver or integrated amplifier in a second room, allowing you to listen to 9.1ch or 7.1.2ch surround in the main room and play a different audio source in another room of your home. The volume of Zone 2 can be controlled from the TX-RZ730 or your add-on integrated amplifier/receiver. Speaker Level Outputs: By using the speaker-level outputs on the TX-RZ730, you can directly connect a secondary pair of speakers in another room of your home, allowing you to listen to 7.1ch or 5.1.2ch surround sound in your main room and play a different audio source in the other room. The volume of Zone 2 is controlled from the receiver. Compatible Sources: AM/FM tuner, Analog audio inputs, HDMI 1-2-3 audio inputs (2ch PCM only), Optical/Coax digital audio inputs (2ch PCM only) , USB & Bluetooth Audio, Network (including DLNA, AirPlay, and built-in music apps) can be played back in Zone 2. Incompatible Sources: HDMI video and analog video sources cannot be output to Zone 2. HDMI (4-5-6-7) inputs, Chromecast built-in apps, and DSD audio files cannot be played back in Zone 2. As for Network, USB, and Bluetooth sources; you cannot select different inputs for the main room and Zone 2. For example, if a Network source has been selected in the main room and then Bluetooth is selected as a playback source in Zone 2, the input in the main room will also change to the Bluetooth source. When listening to AM/FM or Internet radio, you cannot select different stations for the main room and Zone 2. Zone 3: In addition to the main listening room and Zone 2, you can also enjoy audio playback of the same source or a different source in a third room of your home using the receiver's Zone 3 function. The receiver features Zone 3 line-outputs, as well as Zone 3 speaker terminals. You can play the same audio source in each Zone or play a different audio source in every Zone. Zone 3 is compatible with analog, network, digital (USB only), and Bluetooth audio sources - see below for details. Line-Level Outputs: By using the line-level outputs on the TX-RZ730 you can connect an external receiver or integrated amplifier in a second room, allowing you to listen to 9.1ch or 7.1.2ch surround in the main room and play a different audio source in another room of your home. The volume of Zone 3 can be controlled from the TX-RZ730 or your add-on integrated amplifier/receiver. Speaker Level Outputs: By using the speaker-level outputs on the TX-RZ730, you can directly connect a secondary pair of speakers in another room of your home, allowing you to listen surround sound in your main room and play a different audio source in the other room. If you are only powering Zone 3 from the receiver (and Zone 2 is using line-level and an external amplifier), the receiver is limited to 7.1ch or 5.1.2ch in the main room. If you are powering both Zone 2 and Zone 3 from the Onkyo TX-RZ730, the receiver will be limited to 5.1ch surround in the main room. The volume of Zone 3 is controlled from the receiver. Compatible Sources: AM/FM tuner, Analog audio inputs, USB & Bluetooth Audio, Network (including DLNA, AirPlay and built-in music apps) can be played back in Zone 3. Incompatible Sources: HDMI audio/video and analog video sources cannot be output to Zone 3. Optical/Coax digital audio inputs, Chromecast built-in, and DSD audio files cannot be played back in Zone 3. As for Network, USB, and Bluetooth sources; you cannot select different inputs for the main room, Zone 2, and Zone 3. For example, if a Network source has been selected in the main room and then Bluetooth is selected as a playback source in Zone 2 or Zone 3, the input in the main room will also change to the Bluetooth source. Google Home Multiroom: Using the Google Home app for Apple iOS 8.0+ and Android OS 4.0.3+, you can sync multiple speakers with Chromecast built-in in multiple rooms of your home to play the same song from a Chromecast built-in music app throughout your house at the same time. Friends and family can even use their own Chromecast compatible phone or tablet to cast music to your system by connecting to your home's WiFi network. Source Devices: DTS Play-Fi provides you with the ability to stream your music wirelessly in high-quality lossless audio from Apple iOS & Android devices, Windows laptops & desktop computers, as well as DLNA-servers on your existing home WiFi network to the Onkyo receiver. Up to eight separate wireless source devices, each with its own source, are supported simultaneously and any wireless source device can stream to eight DTS Play-Fi playback devices. Online Music Services: DTS Play-Fi enables wireless audio streaming from the world's most popular music services & internet radio, including - Pandora, Spotify Connect, SiriusXM, TIDAL, Amazon Music, iHeartRadio, Napster, & more. Note: All DTS Play-Fi enabled products work seamlessly together, so there's no hassle adding more components, or choosing more than one audio brand (like Onkyo, Integra, Klipsch, MartinLogan, McIntosh, Paradigm, Phorus, Polk Audio, Wren, and more) in your home. Sonos Connect Ready: Instantly upgrade the music streaming capability of your Onkyo receiver with Sonos Connect (sold separately) and a free over-the-network firmware update. With the Sonos Connect connected to the Onkyo receiver via a set of stereo RCA cable, the audio system you've built around the receiver can now be part of a Sonos Wireless Multiroom Audio System (components sold separately). After a simple set up, the Onkyo receiver will seamlessly tie into Sonos, instantly turning on from network standby, changing inputs and playing at the volume you command through the Sonos controller app on your compatible Apple iOS or Android device. Functionality: Once the Onkyo receiver is connected to the Sonos Connect you will be able to send any music or source on the Sonos app to the receiver. You will also be able to group the receiver to other Sonos devices on the network or use it independently. Whenever you start playing music back from your Sonos app and the Onkyo receiver is selected, the receiver will automatically turn on and switch to the correct input. Compatibility: The Onkyo receiver can be used with the Sonos One, Play:1, Play:3, Play:5 or any combination of these speakers (all sold separately). You can even use the Onkyo receiver with a Playbar or Playbase (sold separately) that is located in a different room. Just remember that you need to have a Sonos Connect to connect the Onkyo receiver to the Sonos multiroom audio system. Note: Click here to learn even more about Onkyo and Sonos working together to give you the ultimate home theater and multiroom audio experience. FlareConnect MultiRoom Audio: FlareConnect powered by Blackfire mirrors network audio sources and any external analog source playing through the receiver (from streaming audio to vinyl) on optional FlareConnect/Blackfire wireless speakers (such as the Onkyo NCP-302, sold separately). Sampling rates up to 48 kHz are supported. FlareConnect powered by Blackfire is stable, fast, and easy to control with Onkyo's Controller app for Apple iOS and Android. Note: Onkyo cannot guarantee the compatibility with other devices featuring FlareConnect or Blackfire. Onkyo Controller App: The Onkyo Controller app (for Apple iOS 8.0+ & Android OS 4.0.3) features an intuitive, user-friendly interface that allows you to conveniently operate the Onkyo receiver from your compatible Apple iOS or Android device. This app not only has the usual remote control functions, it also has a multiroom functionality for Zone 2 and wireless multiroom audio setups. Remote Control: You can operate general control functions (play/stop, control the volume, select the input source, etc.) from your compatible smartphone or tablet. Source Device Playback: Operation of connected products (like a Blu-Ray player or TV) that are connected to the receiver via HDMI. Streaming Audio: Lets you play audio from built-in music streaming services (such as Pandora, Spotify, TIDAL), the music library on your Apple iOS or Android device, and your Windows PC or other DLNA-compatible server. You can also access music from Bluetooth and USB source devices. Multiroom Audio: Provides control over Zone 2 and wireless multiroom audio (such as FireConnect by Blackfire). Google Home Voice Commands: With a Google Home voice-activated speaker (sold separately - see Accessories Tab) and the Google Home App (for Apple iOS 8.0+ or Android OS 4.2+), you can use your voice to control select functions of the Onkyo AV receiver. With a simple voice command, you can play music from Chromecast compatible music services by artist, song, genre, album, playlist, mood or activity. You can also turn up the volume, skip to the next track, or stop the music - all without lifting a finger. IR Remote: The receiver comes with an IR remote control for wireless operation of this receiver and other HDMI-connected sources (via HDMI CEC). HDMI Control: This function allows HDMI-CEC compatible components or RIHD-compatible components connected via HDMI to be controlled with the TX-RZ730. The AV receiver offers the following HDMI-CEC controls. The AV receiver will enter Standby mode when the power of the TV is turned to Standby. You can set on the menu screen of the TV to either output the audio from the speakers connected to the AV receiver, or from the speakers of the TV. It is possible to output the audio/video from the antenna or from the input jack of the TV from the speakers connected to the AV receiver. Input to the AV receiver can be selected with the remote controller of the TV. Operations such as volume adjustment or similar for the AV receiver can be performed from the remote controller of the TV. Custom Control Integration: The TX-RZ730 offers custom control integration. The TX-RZ730 features a 12V/100mA trigger output (3.5mm) to power on an external component with a 12-volt trigger input, and an IR input (3.5mm) for remote control range extension. It also supports IP (web) control and RS-232, enabling configuration via PC and integration into a home automation system. On-Screen Menu w/ Setup Assistance (HDMI only): The Onkyo AV receiver offers an on-screen (GUI) menu system through its HDMI output. The simple on-screen display combines text and graphics that make setup and other operations extremely easy. The initial setup assistant takes you step-by-step through speaker configuration, source connection, remote programming, and network connection. Note: Initial setup requires that the receiver be connected to your TV via HDMI for display of the on-screen menu. Many of the receiver's setup functions can only be found via the on-screen menu and not the front-panel display. Gapless Playback: Many live and classical albums have no gaps in the music. Gapless playback ensures that there are no pauses between audio files. This provides playback with no interruptions, the way it was meant to be heard. Compatible with WAV, FLAC, and ALAC music files via USB. Name Edit: You can enter a custom name for each individual input selector and radio preset for easy identification. When entered, the custom name will appear on the display. This function cannot be used for the AM/FM, Network, USB, and Bluetooth input selectors. Display Dimmer: The front-panel display brightness has three settings - Dim, Dimmer, and Normal. Auto Standby & Sleep Timer: The receiver features a programmable Auto Standby function & programmable Sleep Timer. The AV receiver will automatically go into Standby mode, if there is no operation for 20 minutes with no audio/video signal input. From the remote, you can set the unit to automatically turn off after 30, 60, or 90 minutes. Firmware Updates: Future firmware updates are available from the Onkyo website through the receiver's Network or USB connection. Visit Onkyo's online Download Center for the latest firmware updates.